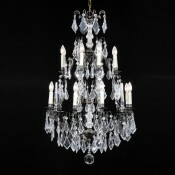 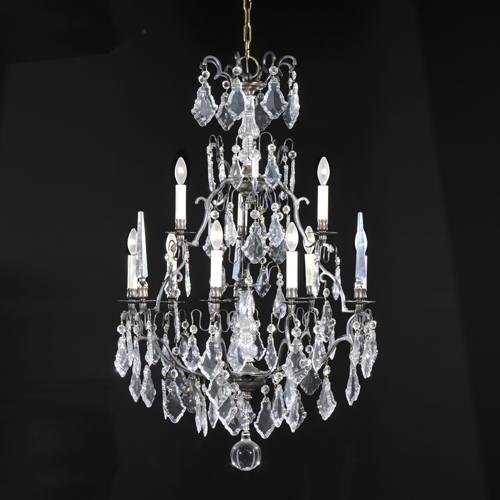 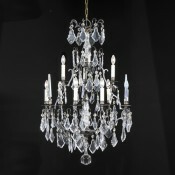 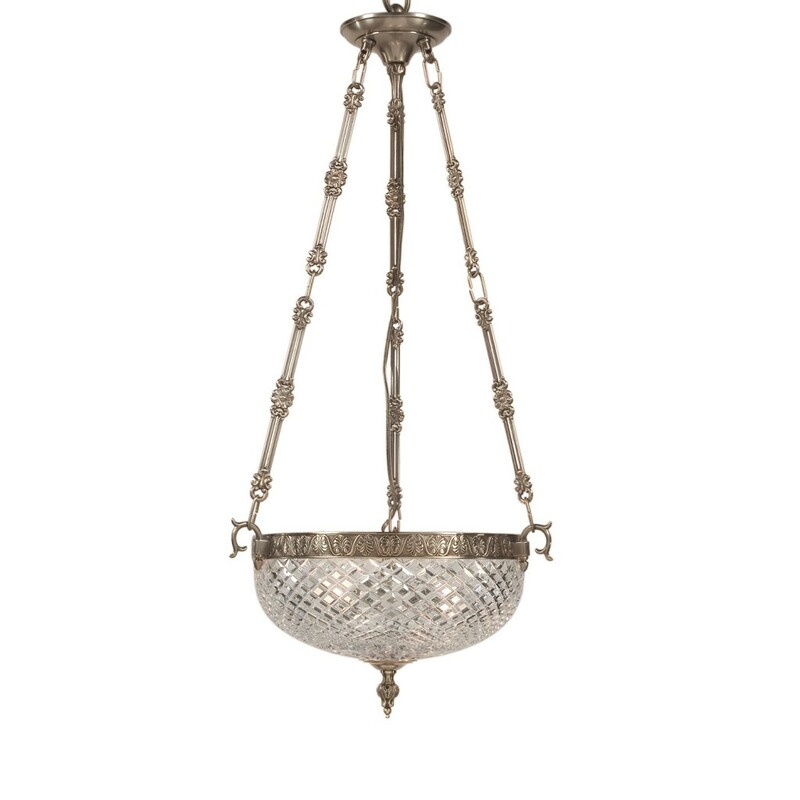 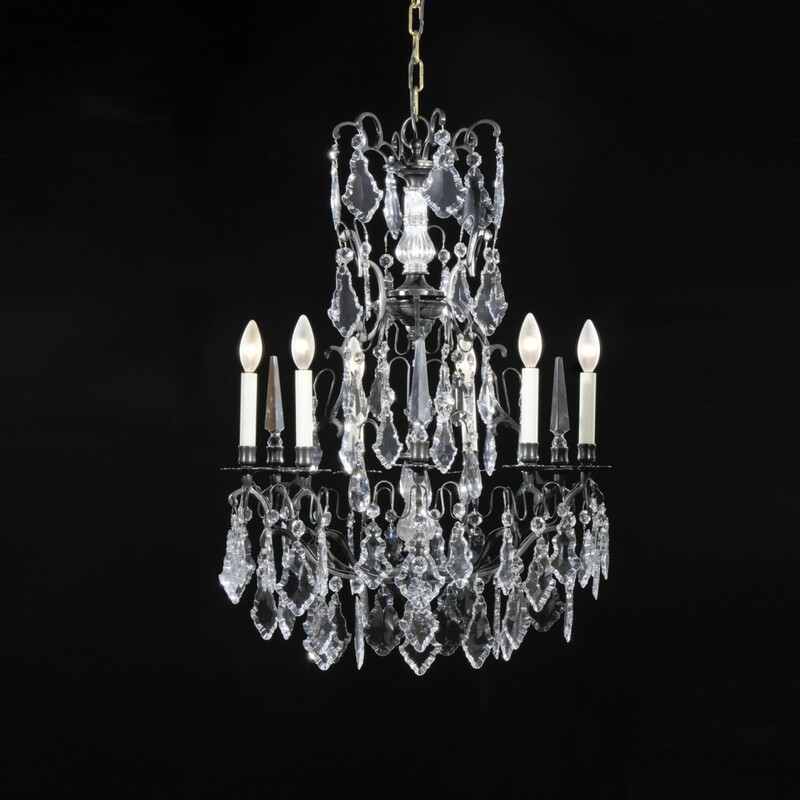 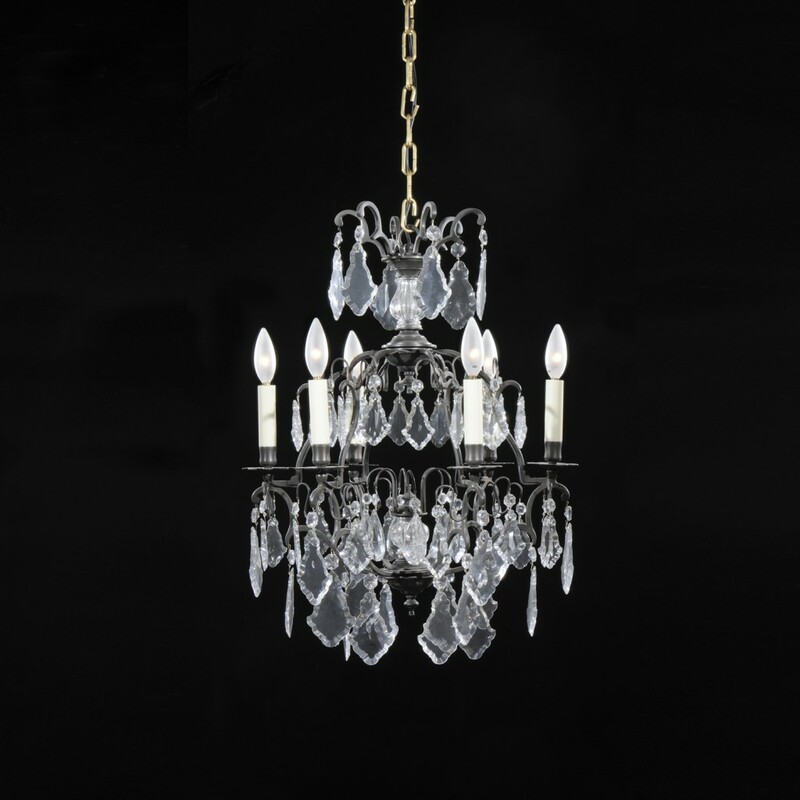 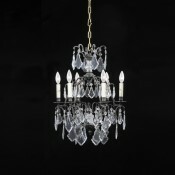 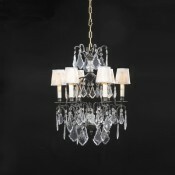 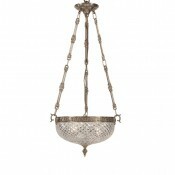 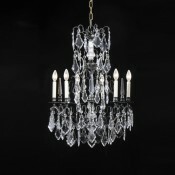 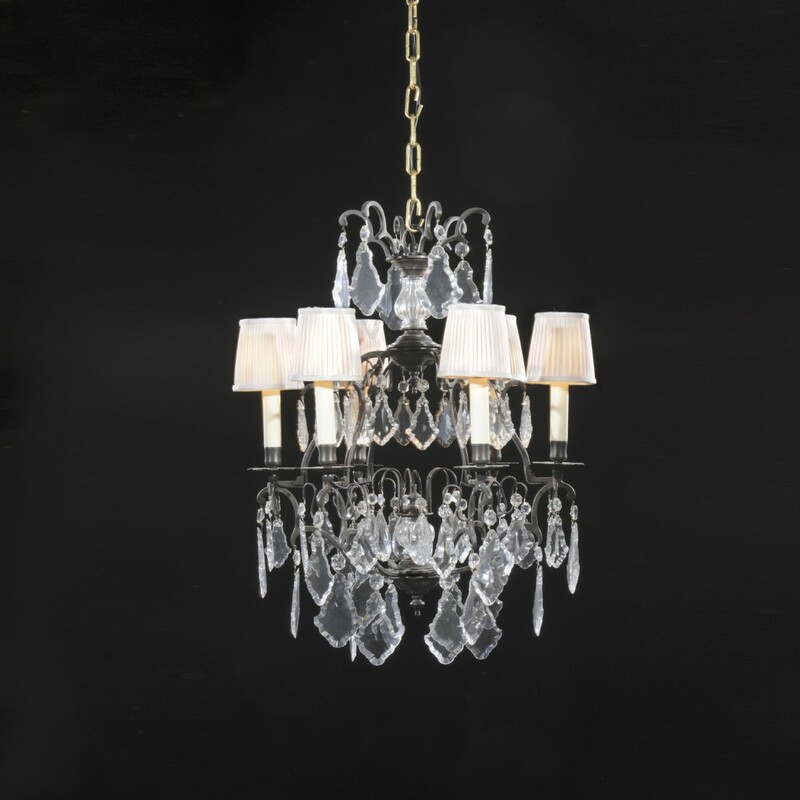 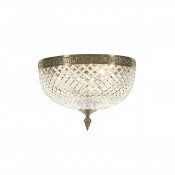 Crystal chandelier w/brass – bronze finish 6 light H. 28″ – dia. 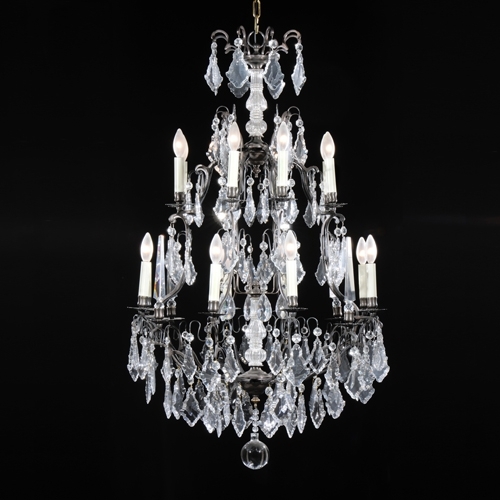 20″ Shade : 2.5″ x 4″ x 4″ea. 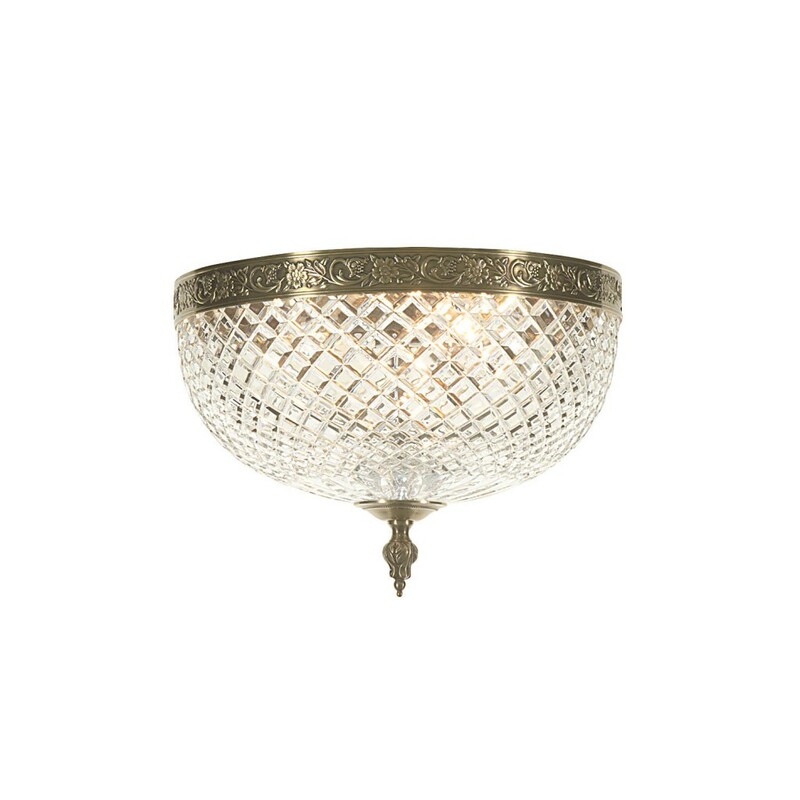 Crystal bowl – 12″ dia.